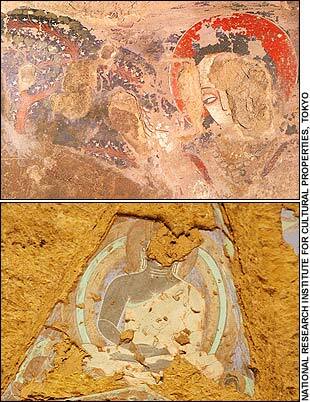 Afghanistan, to be precise, and painted on walls behind the giant 6th c. Buddhas destroyed by the Taliban, to be even more precise. 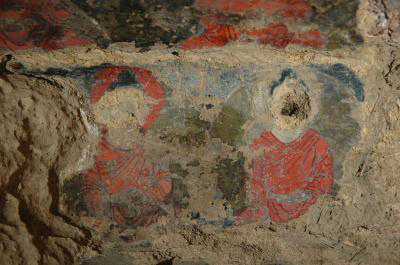 Although caves decorated with precious murals from 5th to 9th century A.D. also suffered from Taliban attacks on this World Heritage Site, they have since become the focus of a major discovery, revealing Buddhist oil paintings that predate those in Renaissance Europe by hundreds of years. 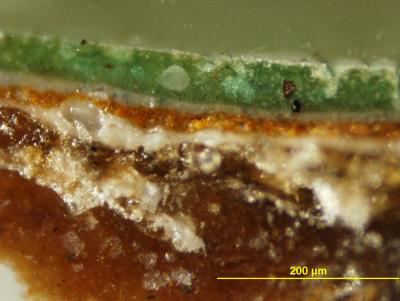 Scientists have proved, thanks to experiments performed at the European Synchrotron Radiation Facility in Grenoble, that the paints used were based of oil, hundreds of years before the technique was “invented” in Europe, when artists found they could use pigments bound with a medium of drying oil, such as linseed oil. The paintings were made with all kinds of pigments, binders, resins, proteins, gums, varnish all layered on top of each other like a club sandwich of kickass.